Vsonics GR07 is one of the most popular phones for modern day audiophiles it is a great sounding phone with stunning design and bio-cellulose drivers. What happens when you take the amazing Vsonic GR07 and try to create a budget option while retaining the features everyone loves on the original? Good packaging nice design and well protected, no complaints here. This may be the greatest bundle of tips with a set of IEM's that I have ever seen. You get so many varying tips that its almost inconceivable that you wont find a fit seriously they are of great quality and there is plenty of them. Also included in the package is a set of silicone ear guides that are my favourite to date they are soft and fit my ears perfectly. Finally, Vsonic throw in a snap shut soft case which is nice but i wish it was a hard case to provide at least some protection from being thrown in a bag etc, for the price though one shouldn't really complain. The GR06 look great and the design is synonymous with Vsonic, they are almost instantly recognizable. The square housing is unique and the mocha color scheme certainly adds a touch of class, additionally the cable looks excellent in real life. Build quality is stellar. The housing is made of very good quality plastic with a metal nozzle which actually rotates so as to fit into your ear better. now worries here at all and they will last you a long time. One of the reasons for this is the simply outstanding cable. Vsonic have known for their cable quality and the GR06 one is no exception and I will go as far as to say this is one of the best cables on any IEM at any price. Bravo Vsonic. The GR06 isolate pretty well but they are shallow insert and the tips are single flange leading to slightly less decibel isolation than the Yamaha EPH-100 or Etymotic ER4s IEM's. Usually, I prefer a slightly deeper insertion than these provide however that said with the cable guides on these stay put with no problem. One issue is I am a user of a cable cinch and the GR06 has none which I find a shocking oversight. I have experienced this before and the solution is rather simple. Tie a cable tie around where the cinch should be and tighten it to the point it stays put but doesn't put unnecessary wear on the cable. Then remove the excess cable tie, there you have it, a DIY cinch. When evaluating the Vsonic Gr06 price should be taken into consideration after all it can be had for around £30 and when you consider that things start to look up. 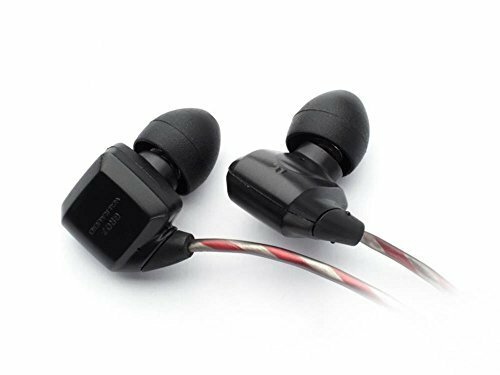 Next to its bigger brother the Vsonic GR07 earphones the GR06 loses out badly and this continues on when comparing to a number of other players at a higher price to around the Shure se215 IEM which is set at $80 and still bests the Vsonics in all areas. So, it's not a heavy hitter punching way above its weight class but when you look at it in light of the under £50 range it starts to look like a viable option. The sound is mid-centric and with decent but not overly prominent bass. The bass itself is of average quality and quantity it is enough to get you going and not bass light but at times I found it to lack that extra pop and punch along with being slightly muddy. Amping did help and especially through a Zo, the sound was improved however if this was paired with a cold analytical source I could see myself wanting more out of it. Mids are ok, the sound relatively real and accurate with a touch of warmth, nothing particularly shines but they are respectable at the price point but yet again that veil sits atop everything. When you consider the Sony MH1C can be had for $20 with outstanding high-class mids the GR06 may disappoint. Soundstage is again reasonable and imaging is ok nothing spectacular but good nonetheless. The Vsonic GR06 is something of a mixed bag, on one had build quality, accessories and design are all top class beating out many of the competitors at a higher price. On the other hand the sound leaves a lot to be desired. Cheaper options like the JVC fx40 and the Sony MH1C sound streaks better but do not have the build quality to match the GR06. In the end take the MH1C over almost anything in the sub $100 category however if build quality and cable take precedence over sound by all means go with the GR06.